They’re back in stock! 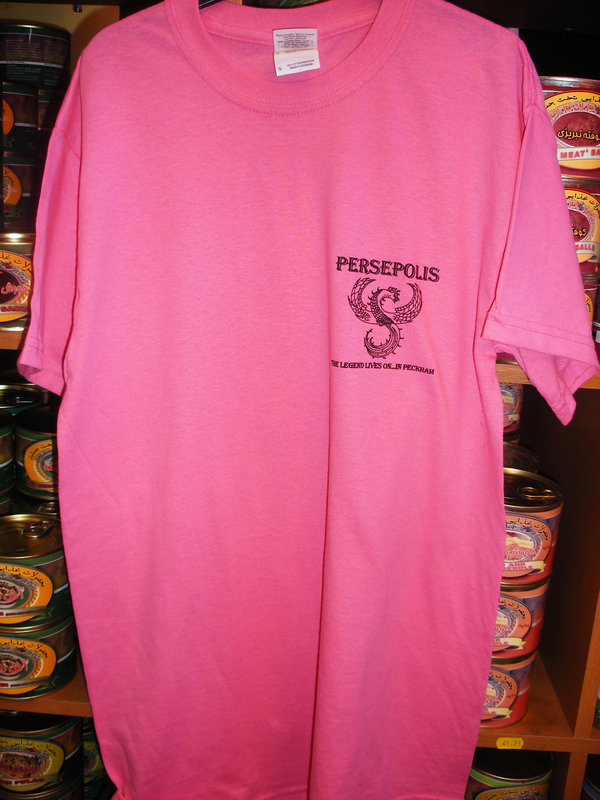 T-shirts in every conceivable colour and size. Actually, don’t hold us to that: they come in SMALL, MEDIUM, LARGE or XL, and BLACK, WHITE, GREY, BRIGHT PINK, BRIGHT RED, BRIGHT YELLOW, ROYAL BLUE, BRIGHT GREEN OR OLIVE GREEN. They’ve got a discreet Persepolis SIMORGH (see the Persopaedia for more on that) on the front, bearing the words ‘The legend lives on…in Peckham’, and an in-your-face I Love Peckham logo on the back. 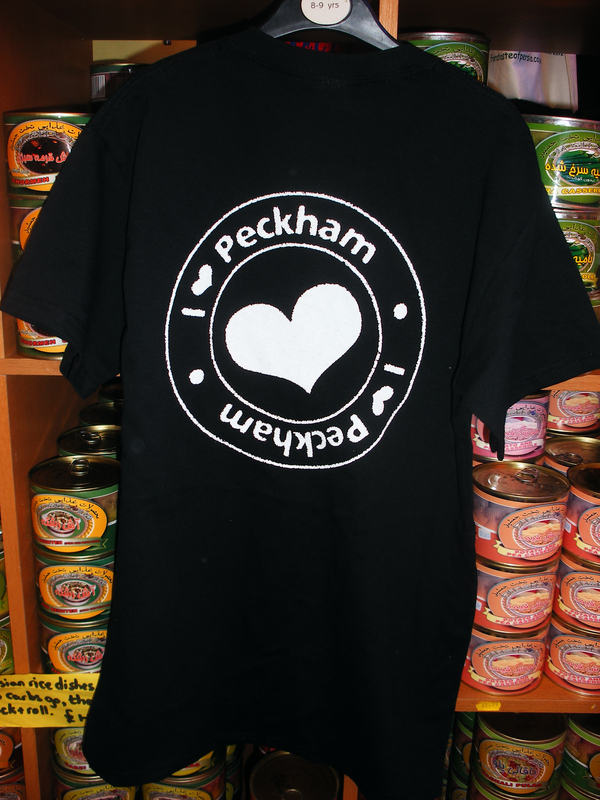 Each (easy-to-wash, 100% cotton) t-shirt comes with its own leaflet explaining the legend of the simorgh, and why the recipient needs to love Peckham. And they are just £7.99. T-shirts are real easy to post, as well – so what you waiting for? Call us on 020 7639 8007 and we’ll get you all kitted out in time for Christmas.